This is the only book on the market with research-based, culturally-relevant content and activities that speak directly to a broad cross-section of men of color enrolled in college. The College Experience for Men of Color, "keeps it real," as the saying goes, and has the courage to address pressing issues facing black men today. Create a systemwide plan for transforming the district office, schools, and classrooms into places that truly support ALL students achieving their highest levels! This updated edition of the bestseller continues to explain the need for candid, courageous conversations about race so that educators may understand why achievement inequality persists and learn how they can develop a curriculum that promotes true educational equity and excellence. All students deserve a safe, respectful school environment. Students who identify as lesbian, gay, bi-sexual, or transgendered are susceptible to dropping out of school. This book provides professional development ideas and real-life vignettes that will help educational leaders foster a more caring school culture not only for LGBT students, but for all students. Peter DeWitt provides specific strategies for school leaders. Diversity and inclusion are issues very much at the forefront of education policy, and are covered in every childhood course. This book explains the issues and helps trainee teachers demonstrate good practice in this area. In this important resource, Dr. Fleming (a noted expert in the field of minority retention) draws on educational evaluations she has developed in the course of her distinguished career. This book analyzes the common factors and the role institutional characteristics play in minority student retention to show what really works in increasing academic performance among minority students and includes models of evaluations that describe successful programs that use statistical methods to verify outcomes. This one-of-a-kind, comprehensive workbook will help you navigate your gender identity and expression at home, in school, and with peers. 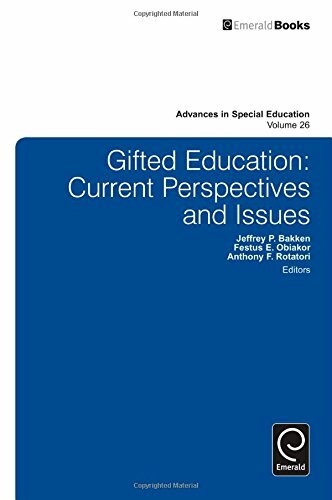 Gifted education: current perspectives and issues by Bakken, Jeffrey P.
This volume addresses the most current perspectives and issues related to giftedness and is written by leaders in the field. An excellent resource for special educators, administrators, mental health clinicians, school counselors, and psychologists, this title addresses the different educational issues that impact this population. Includes chapters "Multicultural Differentiated Instruction for Gifted Students" and "Recruiting and Retaining Gifted Black Students in STEM Majors." Increasing Diversity in Gifted Education shows teachers, administrators, and other interested parties how to finally meet the educational needs of high-potential students across all racial, ethnic, language, and economic groups as well as some categories of disability. Using this book, educators of gifted individuals from backgrounds that are traditionally underrepresented in gifted programs can equip these students to make significant contributions to all aspects of American society. Practitioners will gain the information and knowledge needed to increase the identification of culturally diverse and twice-exceptional students for gifted education programs and services. This is an essential guide for teachers, school administrators, guidance counselors, and social workers interacting with students on a daily basis; school board members and officials determining school policy; nonprofit advocates and providers of social services to youth; and academic scholars, graduate students, and researchers training the next generation of school administrators and informing future policy and practice. Examine the latest theories on multicultural issues in the classroom . . .Focusing on what multicultural education actually "looks like" in the classroom, this Fifth Edition of Making Choices for Multicultural Education encourages you to examine the latest theoretical perspectives on multicultural education, as well as your own personal beliefs about classroom diversity. The authors show how schools reflect broad social patterns of institutional discrimination, and then offer five different approaches to addressing those patterns in the classroom. 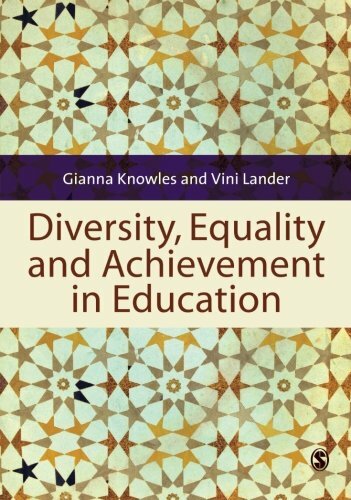 Bridging the fields of gifted and multicultural education, this pathbreaking volume provides a comprehensive and practical resource for raising the expectations and level of instruction for gifted minority students. The authors offer case studies of multicultural gifted education in practice and suggest methods for "best practice" for classroom teachers. Also included are sample activities, guidelines and a checklist to help evaluate current multicultural education programs. Preparing students for an increasingly diverse world is now a goal of most school districts, and this volume will help educators to modify their curricula and educational practices to ensure that this goal becomes a reality. Race and Gender in the Classroom explores the paradoxes of education, race and gender, as Laurie Cooper Stoll follows eighteen teachers carrying out their roles as educators in an era of post-racial and post-gendered politics. Because there are a number of contentious issues converging simultaneously in these teachers everyday lives, this is a book comprised of several interrelated stories. On the one hand, this is a story about teachers who care deeply about their students but are generally oblivious to the ways in which their words and behaviors reinforce dominant narratives about race and gender, constructing for their students a worldview in which race and gender do not matter despite their students lived experiences demonstrating otherwise. This is a story about dedicated, overworked teachers who are trying to keep their heads above water while meeting the myriad demands placed upon them in a climate of high-stakes testing. This is a story about the disconnect between those who mandate educational policy like superintendents and school boards and the teachers who are expected to implement those policies often with little or no input and few resources. This is ultimately a story, however, about how the institution of education itself operates in a post-racial and post-gendered society. One pervasive educational issue is the national underrepresentation of Black and Hispanic students in gifted education. Virtually every school district is grappling with having too few students from these groups identified as gifted and served in gifted classes and programs. Recruiting and Retaining Culturally Different Students in Gifted Education addresses this long-standing national problem through the dual lens of recruitment and retention. Much has changed (and stayed the same) since the first edition of "Reversing Underachievement Among Gifted Black Students" was published in 1996. Although our nation and schools have changed racially and culturally, with more Black, Hispanic, and Asian students than ever before, our gifted programs and Advanced Placement (AP) classes remain much the same - primarily White and middle class. Two thorny issues that continue to exist in education are the underrepresentation of Black students in these classes and the persistent underachievement of Black students even when identified as gifted. In this edition, these two issues are addressed, with updated information on key social, familial, educational, and psychological factors that contribute to underachievement and underrepresentation. Underachievement and underrepresentation are placed squarely within the larger context of the achievement gap and deficit thinking. A central proposition is that we cannot close the achievement gap unless we eliminate deficit thinking and desegregate gifted education and AP classes. "Reversing Underachievement" is a must-have text that affords readers a comprehensive understanding of how schools, families, and the social, cultural, and psychological matrix all interact to affect both achievement and underachievement. n this fiercely urgent book, Matthew Pratt Guterl focuses on how and why we come to see race in very particular ways. What does it mean to see someone as a color? As racially mixed or ethnically ambiguous? What history makes such things possible? Drawing creatively from advertisements, YouTube videos, and everything in between, Guterl redirects our understanding of racial sight away from the dominant categories of color--away from brown and yellow and black and white--and instead insists that we confront the visual practices that make those same categories seem so irrefutably important. Gender equality is a moral and a business imperative. But unconscious bias holds us back and de-biasing minds has proven to be difficult and expensive. Behavioral design offers a new solution. Iris Bohnet shows that by de-biasing organizations instead of individuals, we can make smart changes that have big impacts--often at low cost and high speed.